Tonight’s men’s final at the 2014 US Open between No. 10 Kei Nishikori and No. 14 Marin Cilic is one of the most unexpected Grand Slam matchups in a long time. And, as is the case with all unexpected sports outcomes, there are handful of sports bettors out there who stand to make a lot of money. Australian bookmaker TAB says a few bettors put $100 AUD ($93 USD) on Nishikori to win it all at 100-1 at the start of the tournament. Meanwhile, one person put $500 AUD ($468 USD) on Cilic to win it all at 21-1 prior to his semifinal against Roger Federer. Those bets would all pay about $10,000 AUD ($9,300 USD), which is pretty good. However, they’re just chump change compared to the biggest potential payout. TAB has confirmed that one bettor has a seven-match parlay going, and if Nishikori wins that $40 AUD wager will turn into a $135,000 AUD ($127,000 USD) pay day. Where would that rank among the greatest sports bets and payouts of all time, you ask? It would rank pretty high. Ahead of Super Bowl XLVI between the Pats and Giants, a man named Jonah Rechnitz bet $1,000 that the first score of the game would be a safety. The odds? Well, since there had only been six safeties in the XLV preceding Super Bowls, they were 50-1. 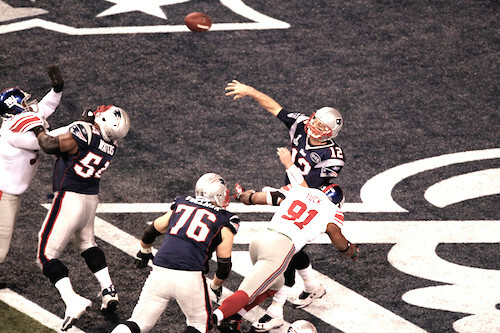 So when Tom Brady got called for intentional grounding in his own end zone—while the score was still 0-0—Mr. Rechnitz got won $50,000. I guess he had a hunch. Sure, Roger Federer seems like a pretty safe bet to win Wimbledon now, seeing as how he's won more grand slam titles than any other man in history. But back in 2003, after he'd just won his first grand slam title at Wimbledon, it was a different story. Still, an Oxfordshire, England, man named Nick Newlife had a hunch. 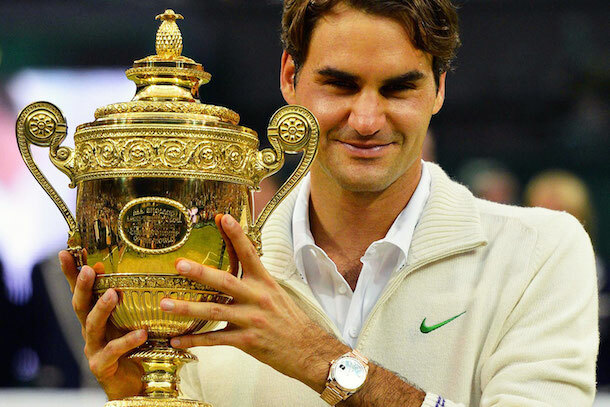 So he placed a £1,520 ($2,455) wager that Roger would win six more of them by 2019 at odds of 66-1. Unfortunately, Newlife passed away in 2009, three years before Federer won that seventh Wimbledon title. However, he left his ticket to Oxfam, and the charitable organization claimed the £101,840 ($160,245) in winnings. In 2005, a Liverpool fan named Adrian Hayward had a dream that Liverpool's Spanish midfielder Xabi Alonso scored a goal from beyond the midfield line. So, since this was obviously some sort of cosmic sign, Hayward found a bookie willing to give him 125-1 odds that Xabi would score such a goal at some point during the 2005/06 season. So he placed £200 bet. Well, on January 7, 2006, Xabi scored a goal from beyond the midfield line, and Hayward collected £25,oo0—which is about $40,000. 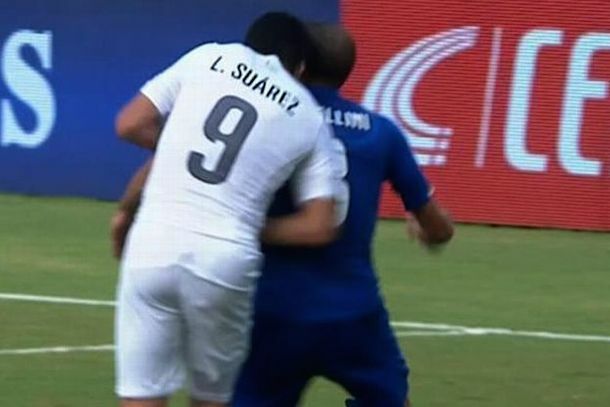 Ahead of the 2014 FIFA World Cup, Swedish sportsbook Betsson gave 175-1 odds that Uruguayan striker Luis Suarez would bite somebody, and 167 people took that bet. Fortunately for Betsson, most of those people bet $5, which "only" paid out $900, while the biggest winner bet just $18 and won "only" $3,300. Don't you wish you could go back and put a thousand bucks on that? We told you about this one back in July. 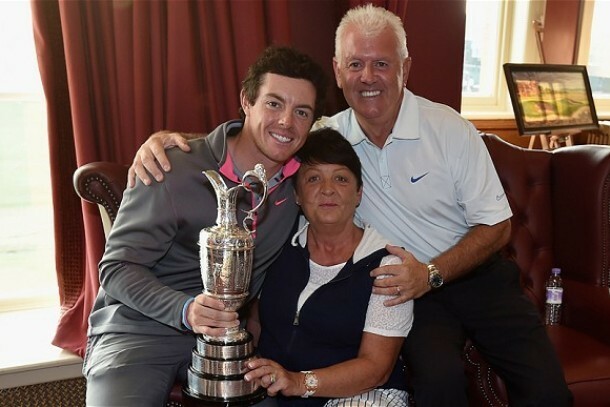 In 2004, when Rory "Best Golfer on the Planet" McIlroy was just 15 years old, his dad, Gerry, and a few of his friends bet £200 ($340) at 500-1 odds that his son would win the British Open by the age of 25. Well, Rory won the British Open at the age of 25, so that bet paid £180,000 ($290,000). Gerry McIlroy's cut? About $171,000. When David Freese hit a two-run triple with two outs and two strikes in the bottom of the ninth in Game 6 of the 2011 World Series, every St. Louis Cardinals fan on the planet jumped and shouted for joy. 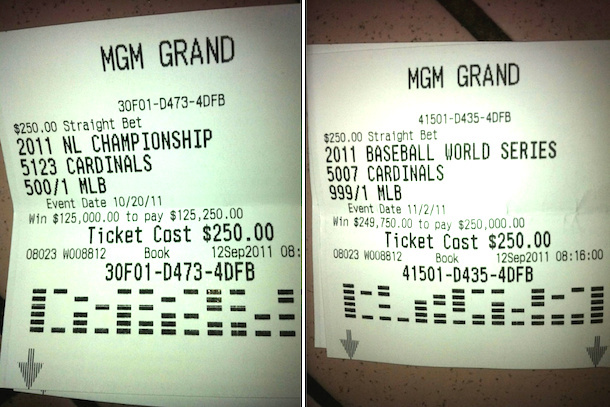 However, it's doubtful any Cardinals fan jumped higher and cheered louder than the guy who placed these two bets. You see, the Cardinals were five games back of the NL Wild Card with 15 games to go in the season, so at that point the odds of them reaching the World Series at that point were 500-1, while the odds of them winning the World Series were 999-1. Of course, the Cardinals stormed back to clinch the Wild Card on the final game of the season. Then they beat upset the heavily favored Phillies in the divisional series and the Brewers in the NLCS. So that won Mr. Optimist $125,000. Then the Cardinals pulled out a miraculous victory in Game 6 and won Game 7. And that earned Mr. Optimist another $250,000, for a grand total of $375,000. The lesson? Never give up on your team. During their 2010 African Cup of Nations, Angola had a 4-0 lead over Mali with just 16 minutes left to play—a lead that, as you probably, is pretty much insurmountable in soccer. However, that didn't stop one guy from placing a £5 ($8) bet at 1000-1 odds that Mali score four goals and finish in a draw. So when they did score four miraculous goals in the final 16 minutes, that $8 bet won him $8,000. Ridiculous, isn't it? 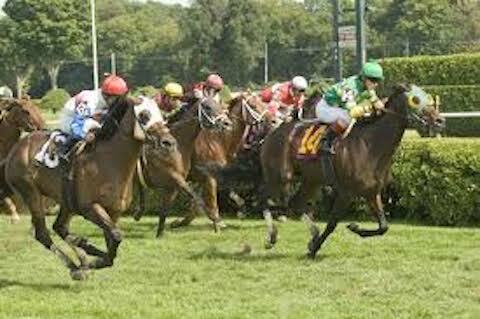 Italian horse jockey Frankie Dettori won over 500 races in his career. However, his greatest single achievement came in 1996, when he won all seven races at the British Champions' Day at Ascot. Of course, as good a day as that was for Dettori, it was an even better day a guy named Darren Yeats. For some insane reason, he bet £59 ($95) that Dettori would win all seven races. And at 25,000-1 odds, that earned him an insane pay day of £550,823—or $889,000. In 2001, a man from Safford, England, named Mick Gibbs laid a measly 30p (¢48 US) on an insane 15-match parlay. 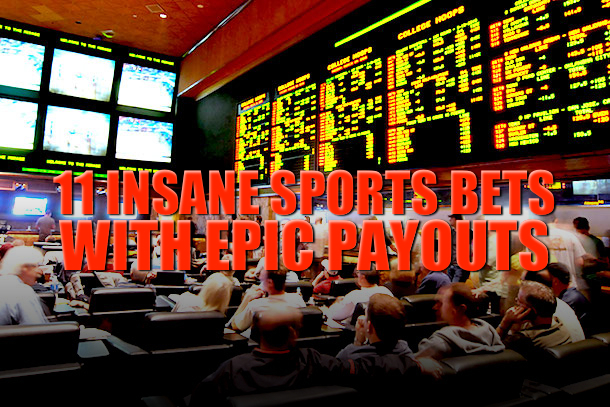 If you're not familiar with parlays, in order to win you have to pick 15 events correctly. In this case Gibbs picked the winners of 15 soccer matches, with the odds of winning them all a staggering 1,666,666-1. Of course, after Gibbs won the first 14 matches, all he needed was for Bayern Munich to defeat Valencia in the finals of the 2001 Champions League to win the entire thing. And wouldn't you know it? Bayern did beat Valencia. Gibbs's payout on that $0.48 bet? Roughly $785,000. That's right. HOLY SH*T!